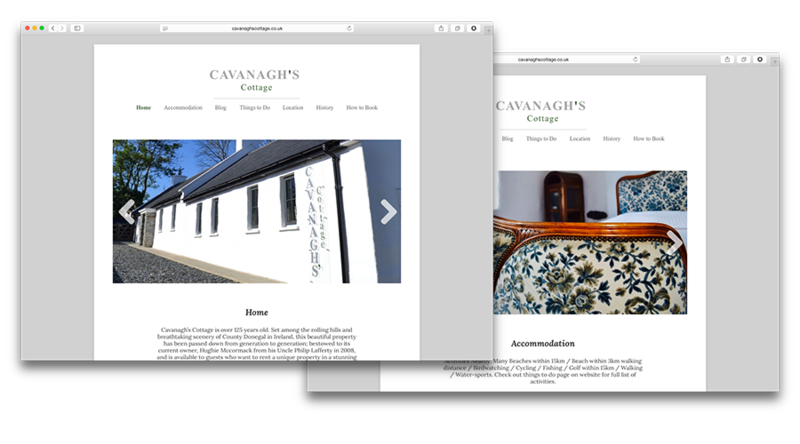 Craftsman Hughie McCormack had just finished restoring his family cottage in Ireland when he contacted me about creating this site. Here was a project that needed to reflect the client’s incredible attention to detail and high level of skill, so as to really sell the cottage to potential holiday-makers. Using a very clean and subtle design language I was able to create a site which really focused on the cottage, allowing the beautiful property to sell itself by focussing on the details that make it a truly wonderful place to stay.